In response to the four ads that Apple released the iPhone 5, Samsung shares with two other users Samsung Galaxy SIII device parodying Apple users who want to buy the new iPhone. 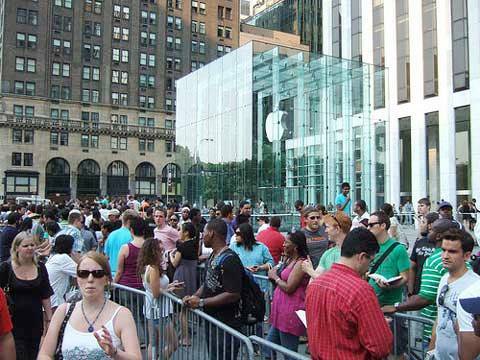 In the video, we see the long lines that usually form Apple users at launch of the device, in different cities, speaking about its new features. But at the end of the video, there are always users of Samsung Galaxy S III showing characteristics different from Apple (in one of the videos, two Samsung users share a playlist from one phone to another wirelessly gathering devices) that surprise change your mind and make the users of Apple expectantly. Both end with the famous slogan "The next big thing is already here".